We live in an age where ambitious architects are continually pushing the boundaries of what’s possible, creating fantastical, breathtaking buildings all across the globe. 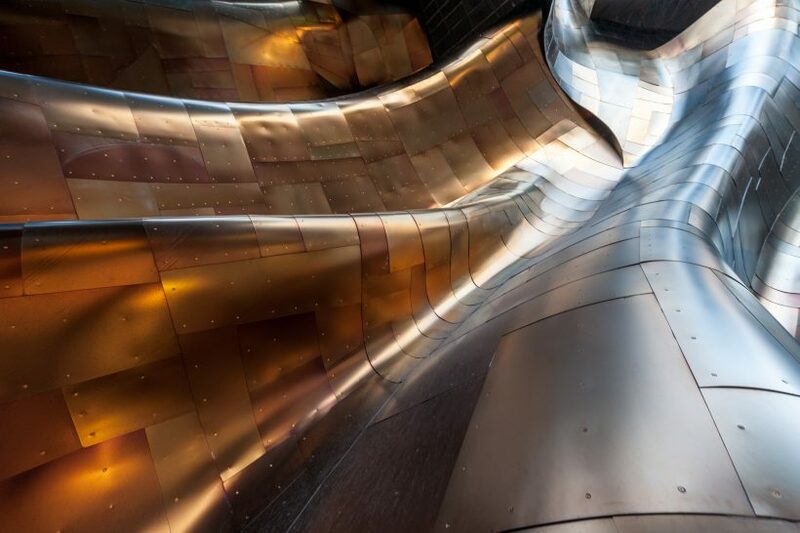 We live in an age where ambitious architects are continually pushing the boundaries of what’s possible, creating fantastical, breathtaking buildings all across the globe. But what about those designs that were so ambitious that they never saw the light of day? In this week’s blog, we celebrate 5 amazing buildings that were never built. One of the strangest and most outlandish building designs ever conceived, the Manhattan Dome was the brainchild of Buckminster Fuller and Shoji Sadao, who, in 1960, planned to install a two-mile-wide, shatterproof dome of one-way glass over the city of Manhattan. The grandiose building was to be constructed by a fleet of helicopters and was designed to reduce air pollution and regulate weather. The one flaw in the design was that cars or engines of any kind were to be banned, presumably to prevent discolouring of the glass, which the creators said would be invisible to the naked eye. Soviet-era Russia produced some of the most ambitious and imposing buildings ever made, but the Palace of the Soviets was perhaps the most ambitious design of all. In 1931 an international competition was held to design a new administrative and congress hall in Moscow. Boris Iofan’s concept of “Lenin atop the skyscraper”, was the winning entry, and the dimensions would have made it the largest building in the world at the time. Unfortunately, history had other plans, and construction was stopped in 1941 following the German invasion of Russia, with the steel frame requisitioned for use in the construction of fortifications and bridges. The great Zaha Hadid created many buildings in her lifetime that would have been destined to remain as mere designs in previous eras, but the Tokyo Olympic Stadium was one Zaha building that never reached fruition. This curvy, typically futuristic design, was chosen to be the national stadium for the 2020 Olympic Games. However, costs spiralled, and, with the final bill forecast to be over $2 billion, the project was shelved for a more modest and cost-effective alternative. Another victim of spiralling costs, the Fourth Grace was designed to be Liverpool’s redevelopment as European Capital of Culture in 2008, to sit alongside the city’s existing Three Graces – the Royal Liver Building, the Cunard Building and the Port of Liverpool building. The Fourth Grace, titled “The Cloud” by its architect Will Alsop, was to be a mix of commercial and office space, incorporating a bar, restaurant and viewing gallery. Unfortunately, the project proved to be costly for the public purse, and was shelved in 2004 after the budget spiralled from £228 million to £324 million. The Pyramids are perhaps the most famous structures ever built, and the Shimizu Mega-City Pyramid was designed to emulate these wonders of the ancient world. The Shimizu Mega-City Pyramid was to be built in Tokyo Bay and would house 750,000 people. Most impressively of all, the structure would have been 12 times higher than the Great Pyramid at Giza, making it the largest man-made structure. There was only one minor flaw in the Shimizu Mega-City Pyramid design, in that the super-strong lightweight materials required for its construction have yet to be invented. At Selo, our team is passionate about innovation and architecture.